The Navy Museum will host the premiere season of Geoff Allen’s Sister Anzac from 23 July - 2 August (admission charges apply) as part of the Museum’s First World War centenary programme. Sister Anzac will be staged amongst the exhibitions in a unique and bold collaboration between the Museum and Galatea Theatre - an opportunity David Wright, Director of the Navy Museum recognised and embraced. "This is truly a unique opportunity to bring our collections and history to life through live performance," says Mr Wright. "There’s no better setting for a play about hospital ships and the role our Nursing Corps played during the Gallipoli Campaign and throughout the First World War." 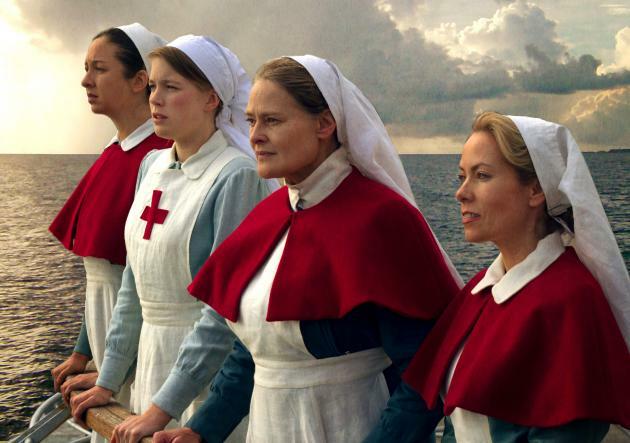 Sister Anzac tells the incredible story of the New Zealand nurses who served on the Hospital Ship SS MAHENO during the Gallipoli Campaign of 1915. Written by acclaimed playwright Geoff Allen, the concept for the play grew from a very personal connection. "My grandfather fell ill on the way to the beaches of Gallipoli in 1915 and was put off at the 1st Australian Field Hospital on Lemnos Island. "I chose the seldom-told story of the women who cared for our wounded and sick soldiers coming off the hills of Gallipoli," says Mr Allen. Directed by Amanda Rees, the cast stars Donogh Rees, Gina Timberlake, Anthea Hill, Alex Ellis, David Capstick and Jordan Blaikie.